The perfect companion to our Tough-Tex US Flags, these Double-Sided Military-Grade POW/MIA flags are made of double-spun polyester, a superior flag fabric that outlasts all others. These flags are specially designed with advanced polymers for world-class tensile and tear strength that resists extreme sun, wind, rain and snow. These official POW/MIA flags are used by the US Armed Forces in areas with the most extreme weather conditions, including windswept desert environments. A virtually indestructible canvas header, heavy gauge rolled brass grommets and reinforced stitching round out these POW/MIA flags to make them the very best you can buy. 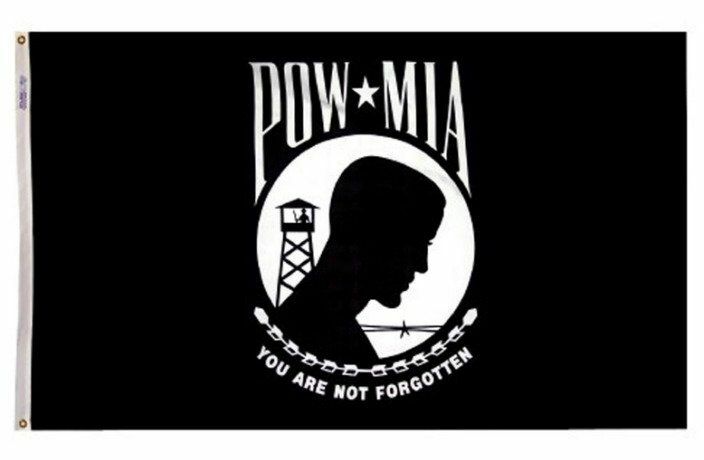 Like our other military flags, these POW/MIA flags are proudly Made in America.